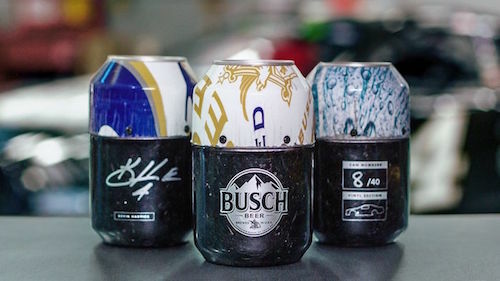 Busch is taking recycling in an unusual direction by turning a race car into beer cans as part of the company’s celebration of its 40 years at the Daytona 500. In fact, sheet metal and carbon fiber from Kevin Harvick’s 2018 No. 4 Stewart-Haas Racing Ford will be used in this wacky stunt, making up a special “Car 2 Can” collection.